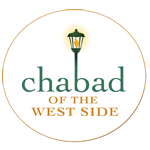 Click here for a brief listing of Chanukah laws and customs. Click here for a detailed listing of the Menorah lighting schedule. Click here for an enlightening collection of holiday stories, recipes and games.